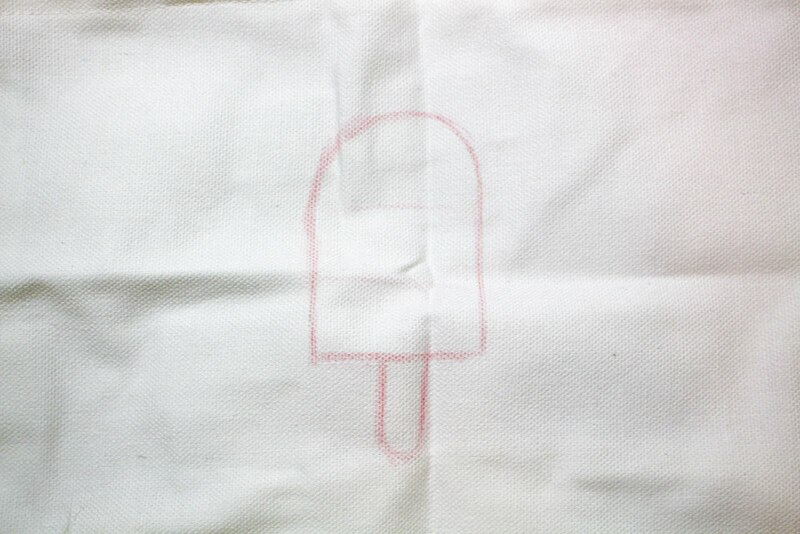 If you give me the choice between popsicles or ice cream, I will always choose a popsicle! 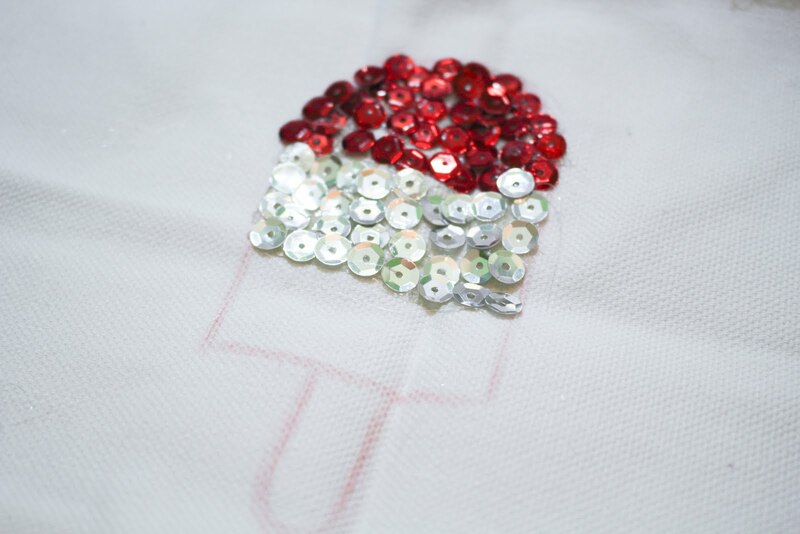 With that being said, I saw this adorable sequin popsicle shirt at Victoria Secret Pink (and with that, I lost all my male readers). 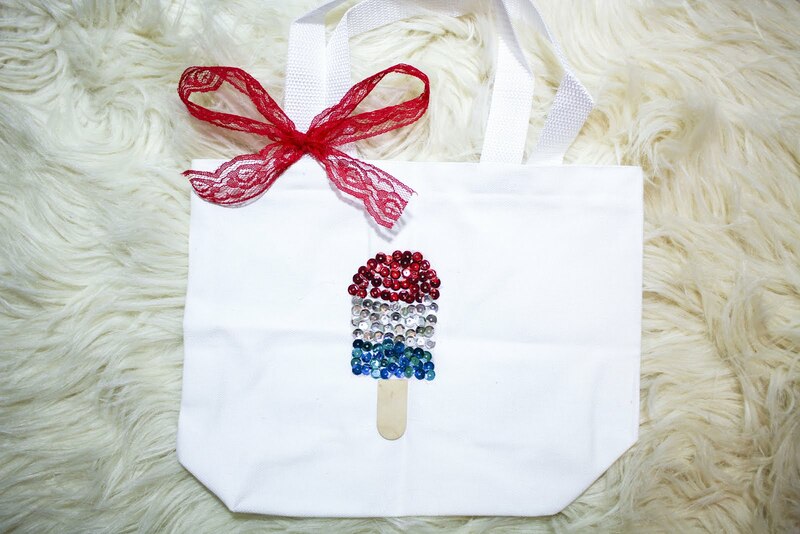 This gave me the idea of creating a tote bag that was also had a sequin popsicle on it! 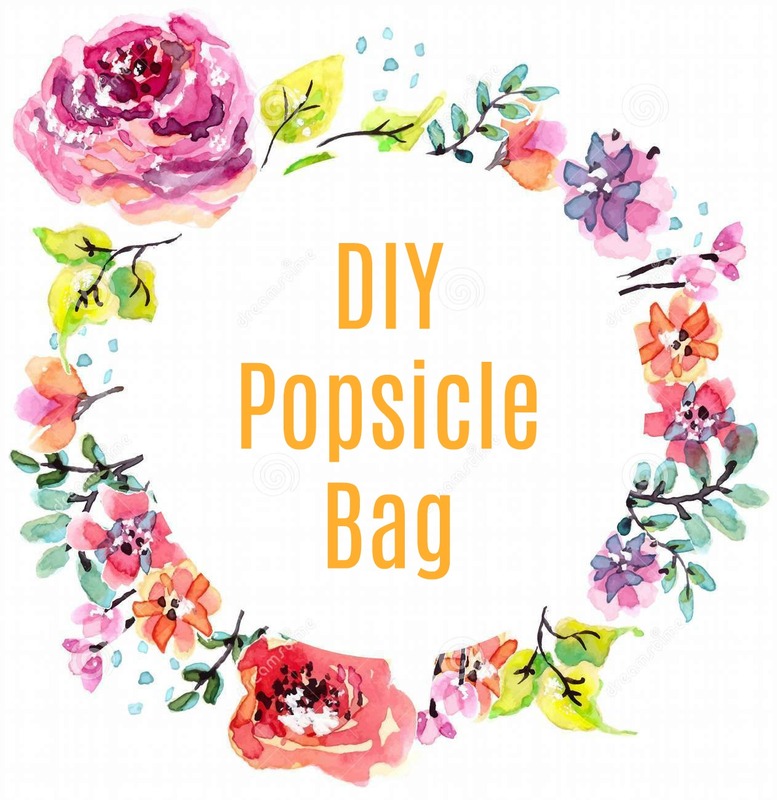 I, unfortunately, couldn't find a big tote like I was hoping, but I seriously recommend doing this DIY Popsicle Bag on any bag you find! 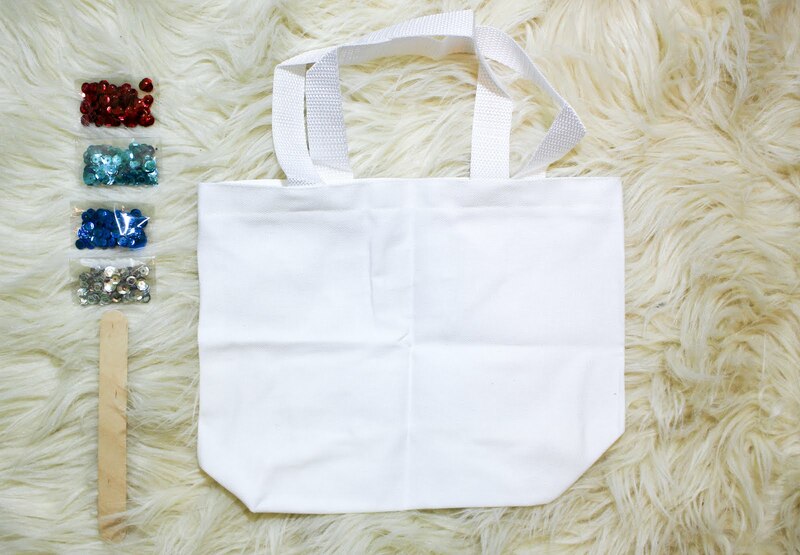 To begin, take a colored pencil and lightly trace your design. 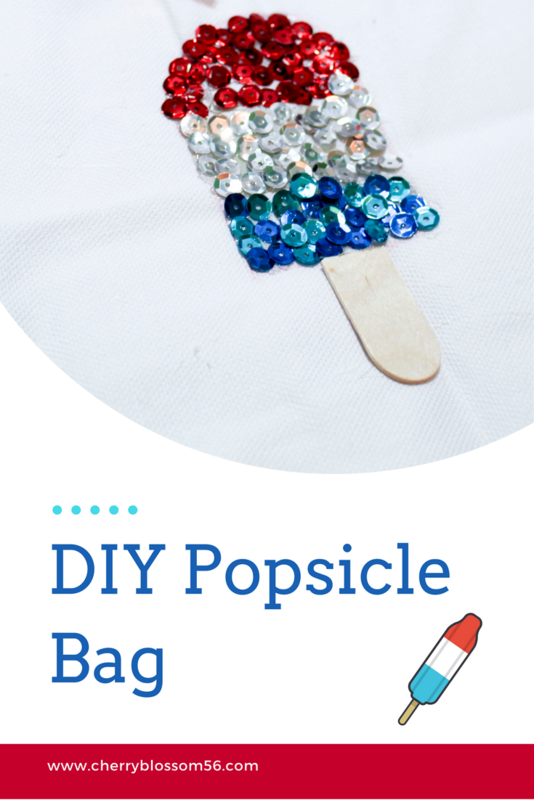 This will help you determine the amount of your popsicle stick you will need. 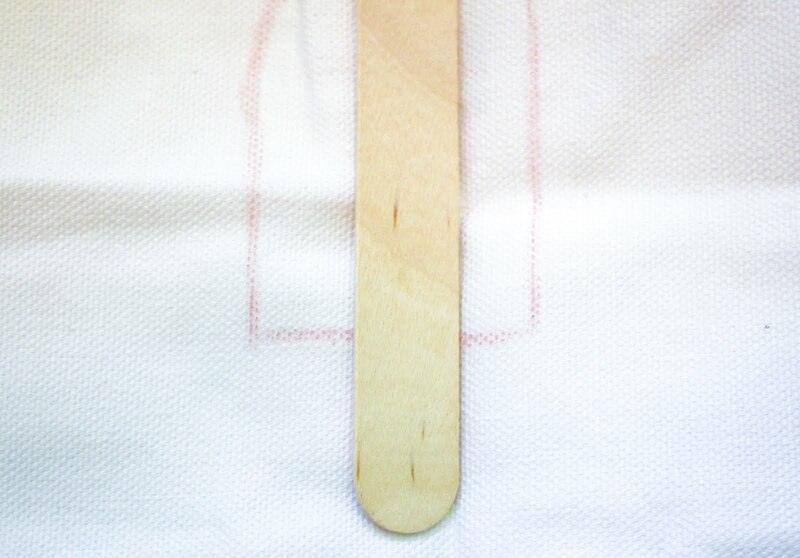 Draw a line where you need to cut your popsicle stick. 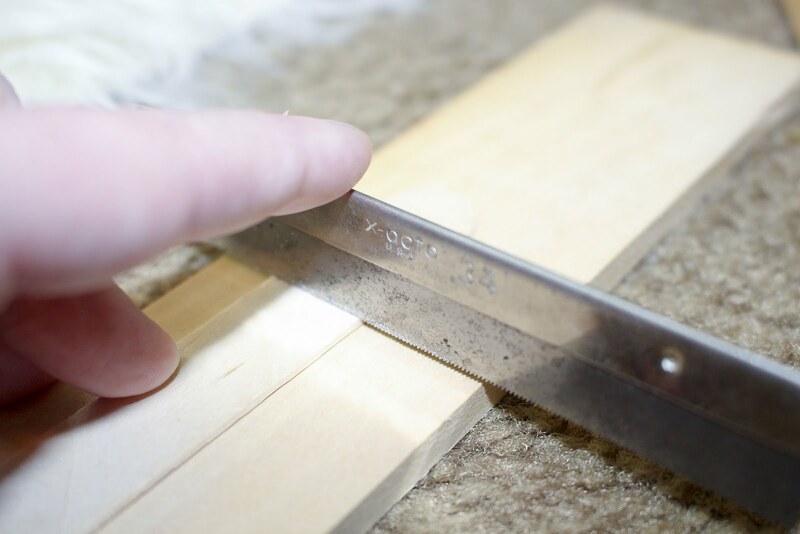 The best way to cut it is to use a miter saw for a clean edge. Be careful! Saws can be very dangerous! 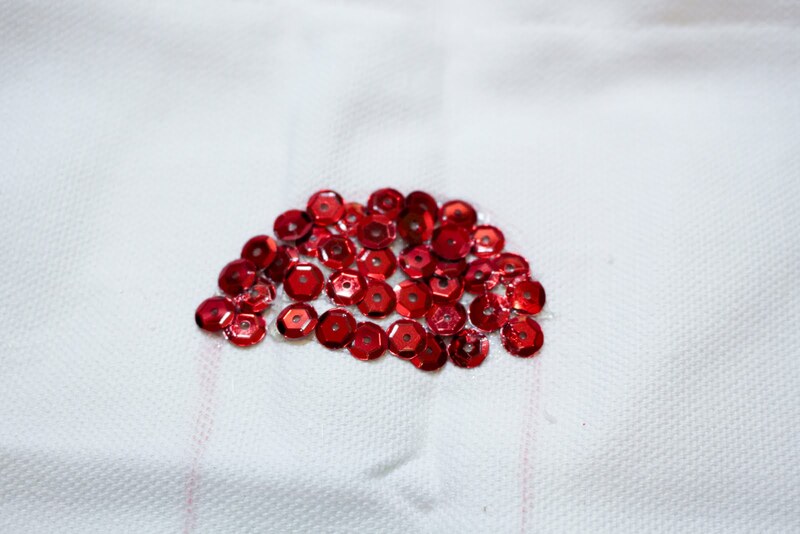 Even small ones! 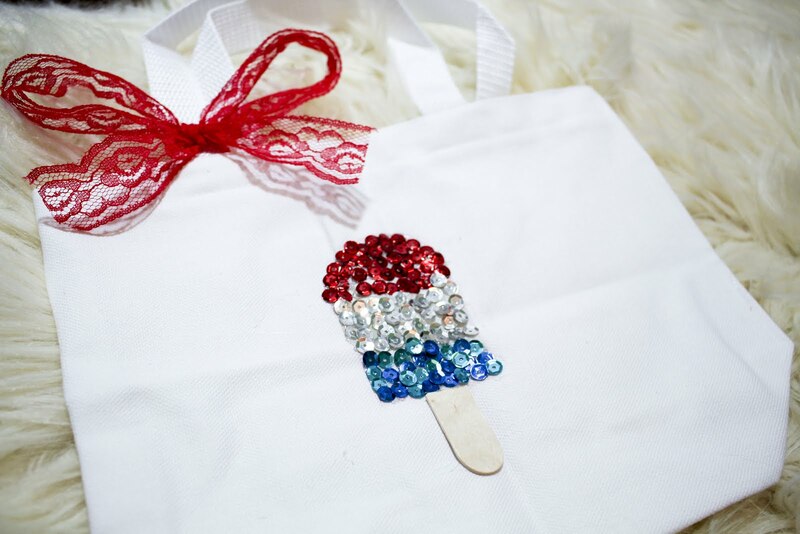 Once your popsicle stick is cut hot glue it to your bag. 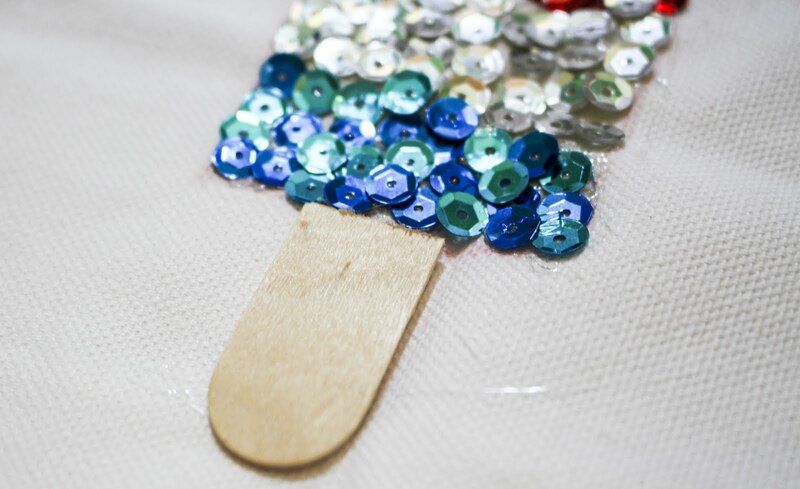 Now using your sequins, begin to hot glue them onto your popsicle design you have sketched. The order should be Red, White, and then Blue. 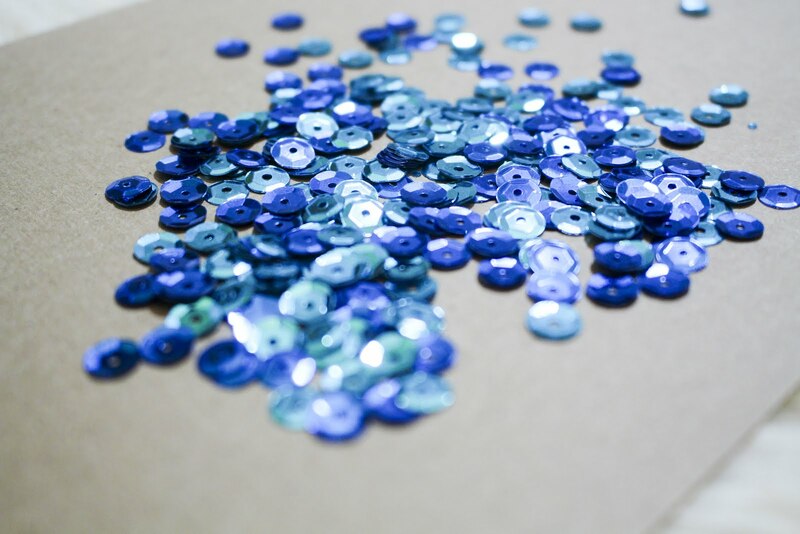 I used a pencil to help me get the sequins into place. Finally, just to add an additional touch of cuteness, I cut a small piece of ribbon and tied it into a bow around the strap. 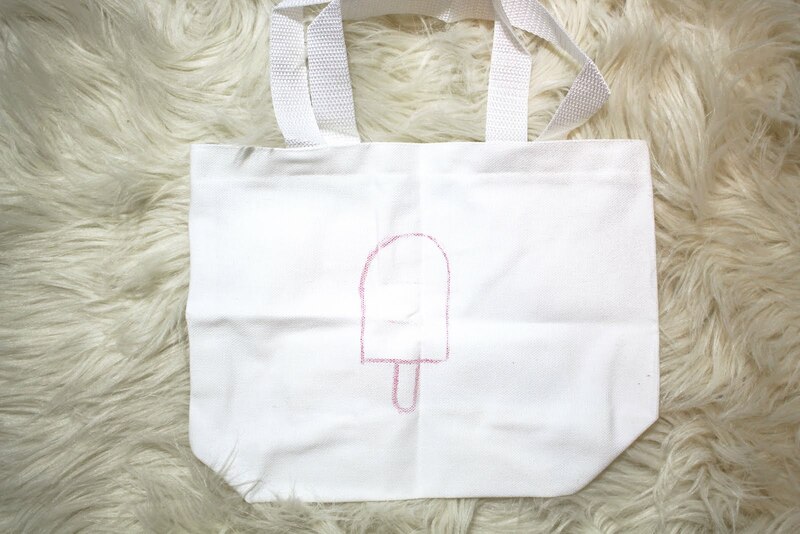 Now you've got the perfect summer DIY popsicle bag.